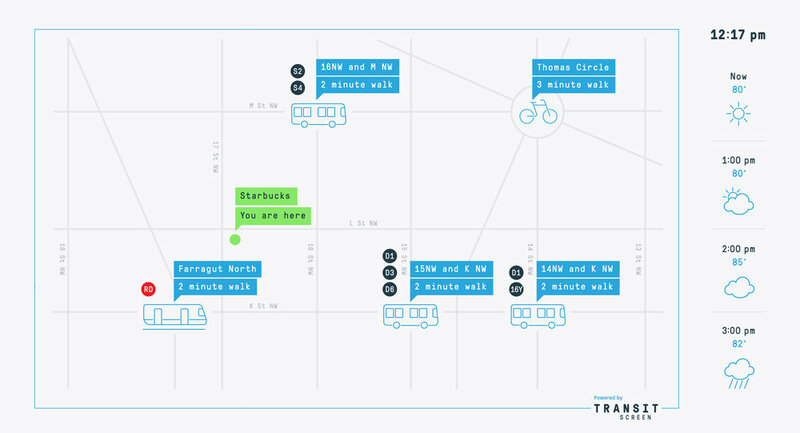 TransitScreen’s goal is to make cities more sustainable by providing people better information about transit options. 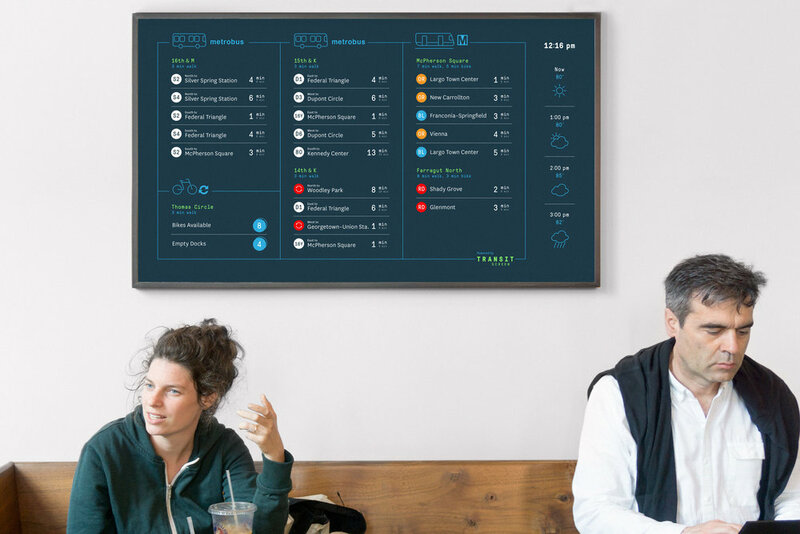 They do this by installing customized screens in public spaces and building lobbies. We designed a custom visual identity that captured the joy of urban transit using original photography and simple illustrations. We also redesigned their product to introduce clear visual hierarchy and intuitive features such as interactive maps.